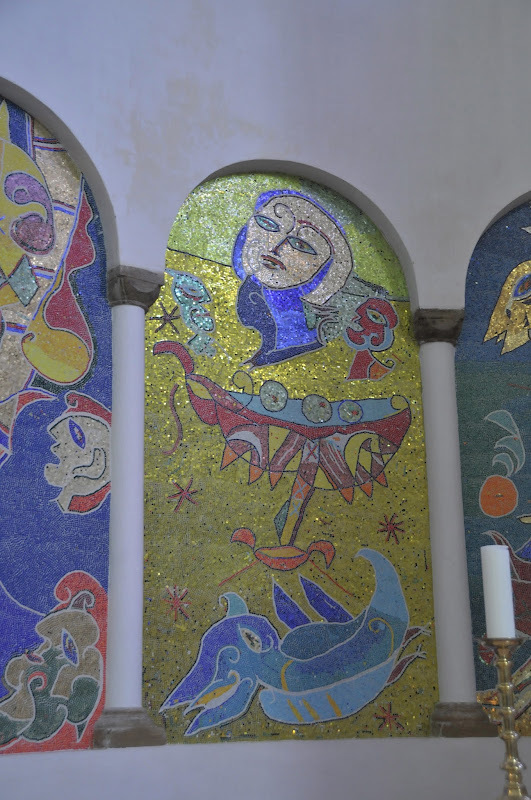 mosaics by danish artist carl-henning pedersen adorn the cathedral in ribe, one of the oldest towns in the country. it's a very pretty place, idyllic little winding cobblestone streets and the cathedral in the center. 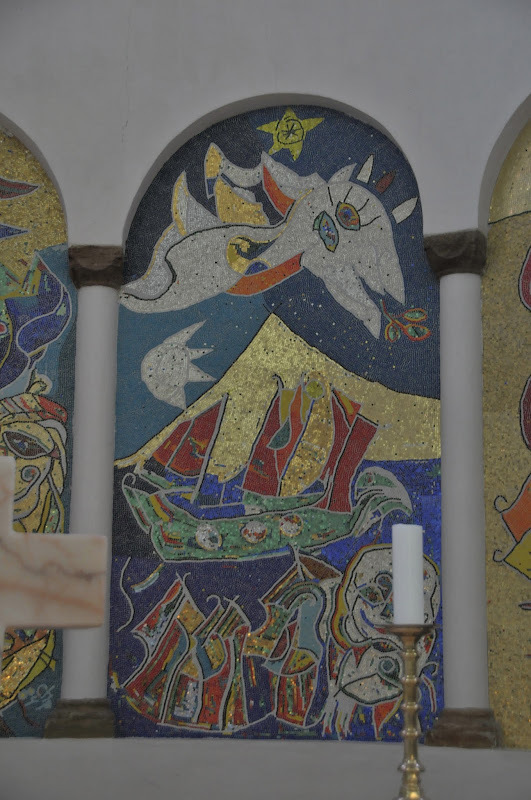 i love the atmosphere of churches - the hush, the way people whisper, how often they are over-dimensioned, especially if they're called a cathedral. 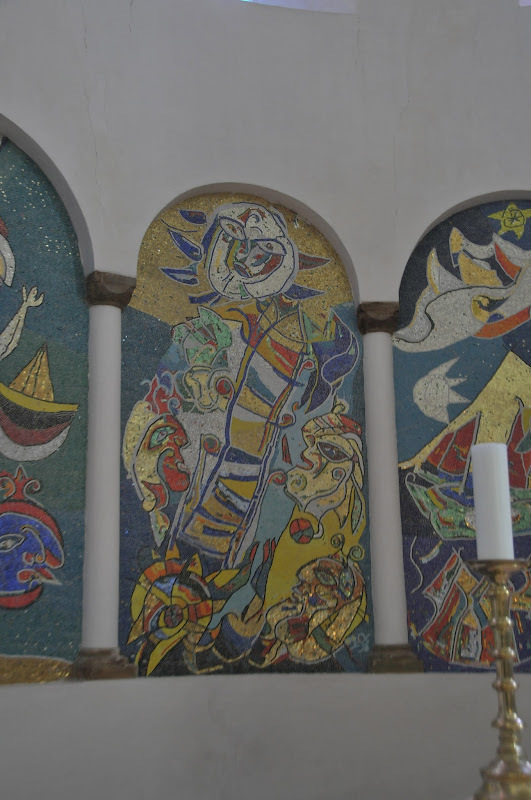 it is a bit surprising to me that carl-henning pedersen was contracted to do such mosaics for the church, and i don't know if there was controversy at the time. i see it as only being able to happen in more open, less correct times (were the mid 80s really like that?). 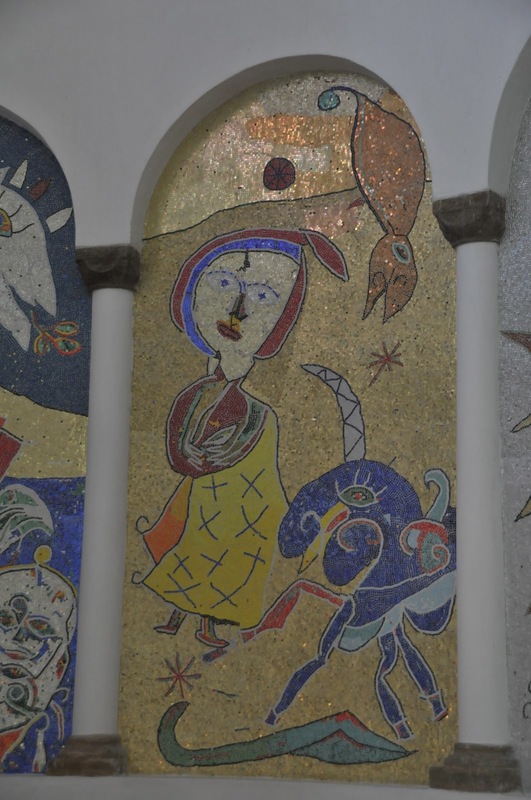 i love the irreverence of the mosaics and the way that i can't really see much religious imagery in them at all. i think it fits perfectly with the danish lack of religiosity despite their love of spring holidays and having a state church. 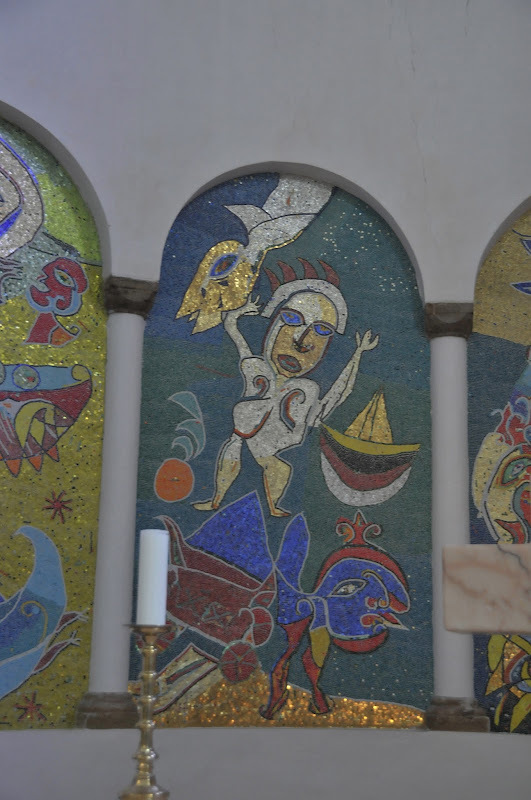 these mosaics provoke me to think far more than some fresco of an overly-adult-looking baby jesus on mary's lap. i say bring on modernity. especially in religion. happy monday that's actually a tuesday! happy colors, happy feet, happy weekend!